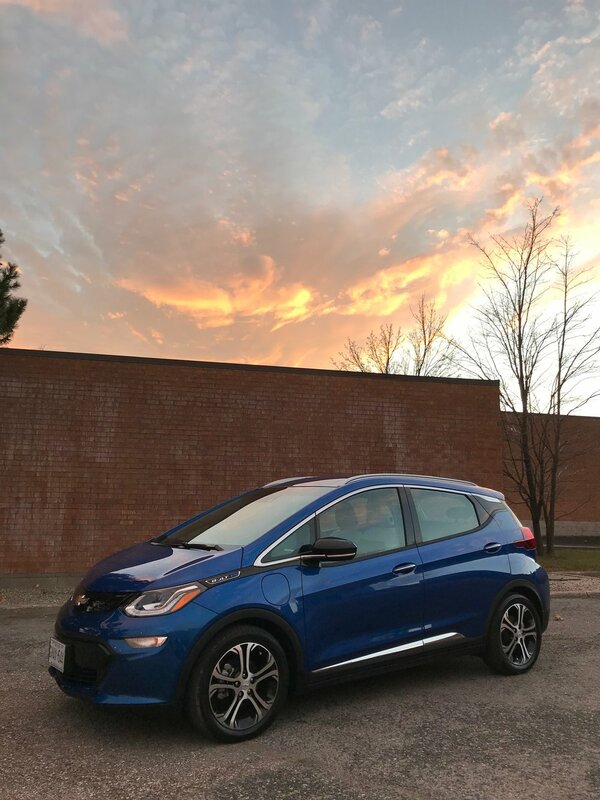 I had the chance to drive the Bolt and was pleasantly surprised by so many of its features. At first glance, the car is actually larger or longer in person than what I had seen in pictures (164 in). Although I was questioning the Bolts “crossover” label at first, once I sat in it, it made sense. I felt elevated in my seat and quite comfortable with my view out the windshield. I’m 5’3 and being raised in my car has always been very important to me. I’ve previously driven the RX350 (Very high off the ground) and I'm currently used to my Audi Q3 which is considered a small SUV. The narrow console allows room for two cup holders, phone tray, dual USB port, and the elbow rest storage plus another storage tray/bin on the center floor. My girlfriend was in the car with me, and when I turned the car on, she couldn’t believe that the car was actually on because it was so completely quite (that never gets old). Chevy only offers two specs. options on this car; the base 5 door crossover, and the Premier 5 door crossover with a few additional upgrades such as lane assist and the infotainment package. The vehicle I drove was the Premier package which had the leather seats, heated front and rear seats, roof rails, 360 camera view, parking sensors and the rearview camera mirror. 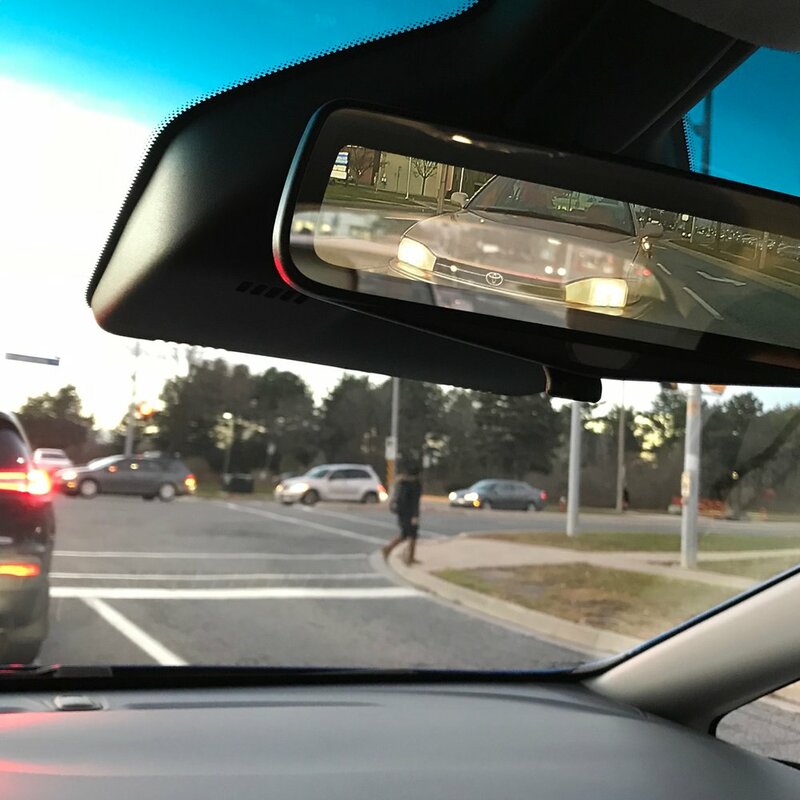 This was the first time I had seen the rear view camera mirror and it was very awkward at first. It did take a minute to adjust my eyes to what I was actually looking at, and then I loved it. I could actually see very clearly everything behind me. Cool and creepy all at the same time, and yes, it can be switched to the regular mirror at any time. Chevy doesn’t offer navigation system on this vehicle, (not sure why) so you just have to rely on your phone and connect to the Android Auto or Apple CarPlay. Once we got going, the car is fun and zippy to drive. Although it’s a small car, it’s quite heavy because of all the batteries it’s packing, but this didn’t affect the response when picking up speed. It can do sharp turns quickly and steers smoothly. Then I switched over to the ONE-PEDAL driving and felt for a moment like there was a glitch in the Matrix and that I had to teach my brain to communicate with my right foot all over again. I felt the same way when I drove the Tesla Model X for the first time too. Instead of using my foot back and forth between the break and gas pedal, I can keep my right foot on the gas pedal only. When I want to stop or slow down, I can just gently reduce the pressure of my foot on the gas pedal. So the same pedal can accelerate and/or decelerate. It’s only strange for a minute and then you get use to it and it adds to the entire driving experience. This is now one of my favorite features on the car. The range, of course, is the most important part of this vehicle. The one-size-fits-all battery claims to do up to 383km on a full tank. That’s a lot, and I would assume that’s only if you’re not using any climate control, accessories, lighting or audio. That’s still a lot. If you think about how much driving you do each day, it can give you some perspective on your battery life. 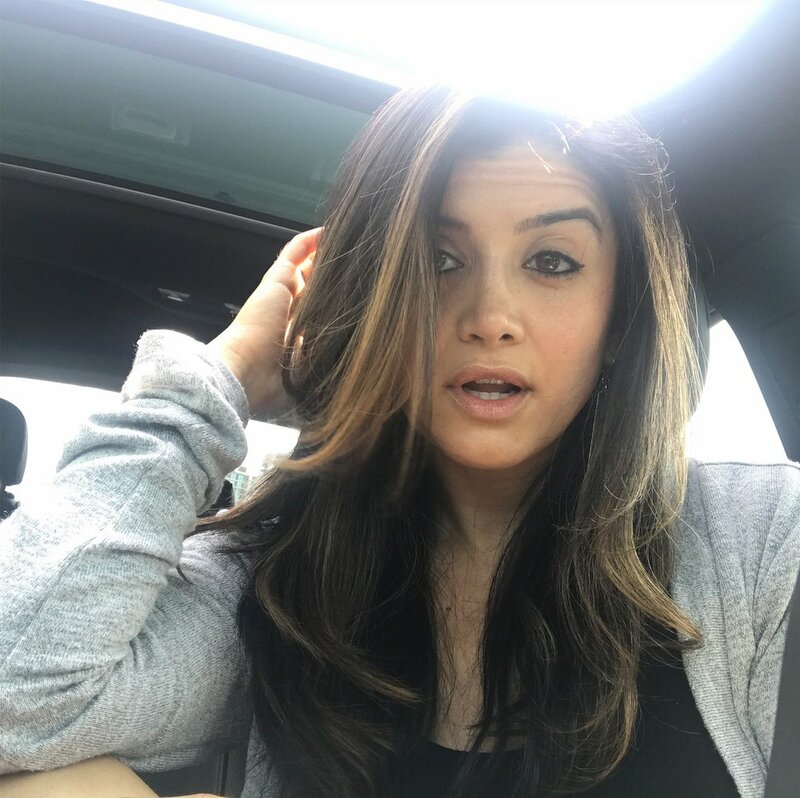 I personally do a lot of driving for work and tend to be on the road a lot to visit clients. Chevrolet.ca has a mileage calculator that I quite like. You can enter your starting location and final destination and it will tell how many times you can make the trip on one charge. The “challenge” is charging up once the battery is drained and I sometimes wonder if people back in the 1800’s feared to transition from their horse and carriage to a gas engine car and worrying about running out of gas. The easy solution is to invest in a home installed charging unit and plug in your car to charge overnight just as you would with your phone. The alternative is to use charging stations around your home just as you would use a gas station. More and more stations are being installed around the city and specifically in more populated areas. This is where Tesla is leading the game and being very proactive in installing numerous Superchargers to address the range anxiety currently holding back people from driving an electric vehicle. GM should do the same and install at least one charging station at all major gas stations. 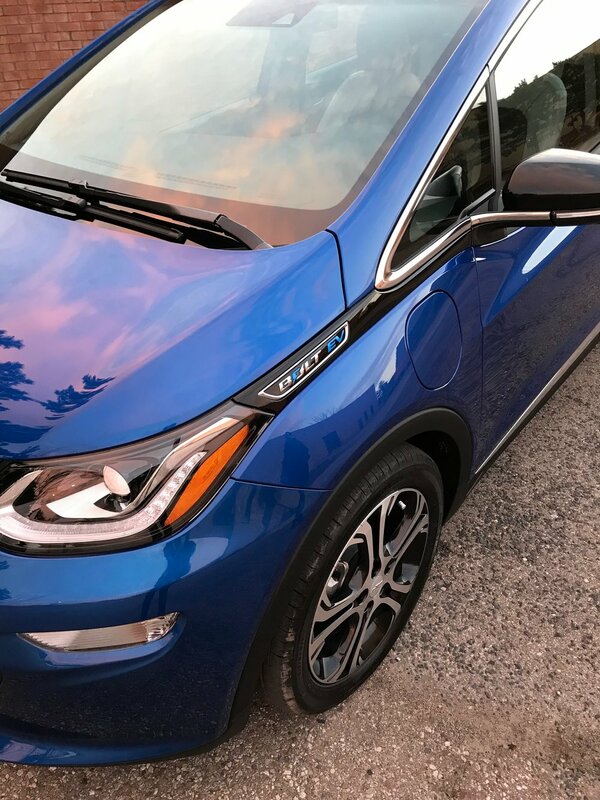 At a starting price tag of $43,000 to $50,000 depending on options, the early adopters of the Bolt will naturally be paying a premium as will anyone else getting into an EV at this stage of the game with any manufacturer. In the future, with the increase in EV popularity and demand, these vehicles are bound to be more affordable and more widely available. This is why I like bringing awareness to EVs. Most people don’t think of an electric vehicle as a viable option for their everyday car. I think it’s just a matter of getting use to it, and it’s simply the fear of the unknown that is keeping so many drivers away from EVs. Let's change that, shall we?! * There are more differences and pros and cons on both vehicles, but these are the major ones. 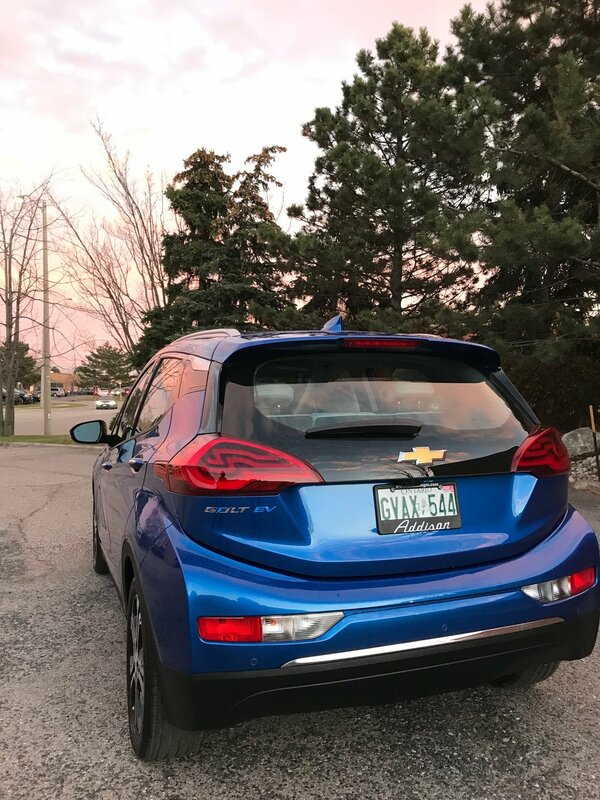 Regardless of what you read or see online about EVs, I urge you to go to your local dealerships and ask to drive the car and feel it for yourself. Itch that curiosity... it didn’t kill the cat back in the 1800’s and it won’t kill us now in the 21st century. Huge shout out to Farhan Mumtaz at Addison GM on Erin Mills for lending me this Bolt. Question: What do you like most about the Bolt? Q: What do you like least about the Bolt? Farhan: That we’re not selling more of them.